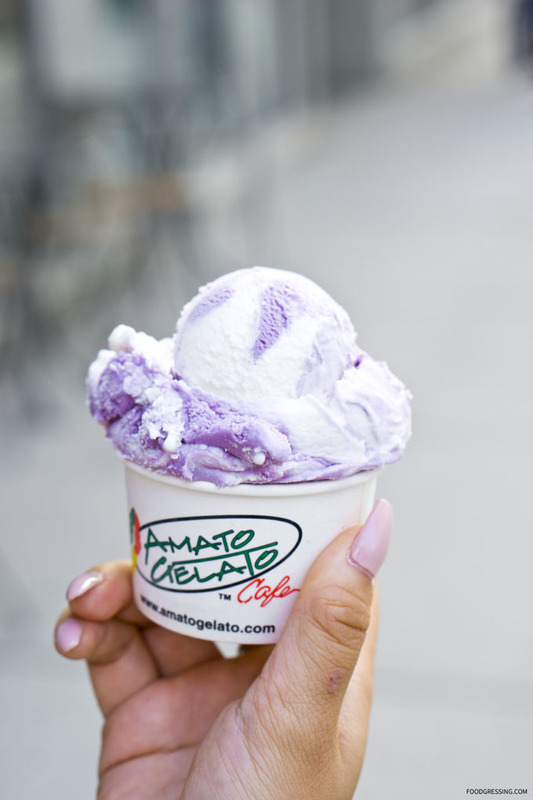 Foodgressing & Amato Gelato Collaboration: Ube & Coconut Gelato + GIVEAWAY! You are here: Home / Giveaway / New Ube & Coconut at Amato Gelato + GIVEAWAY! 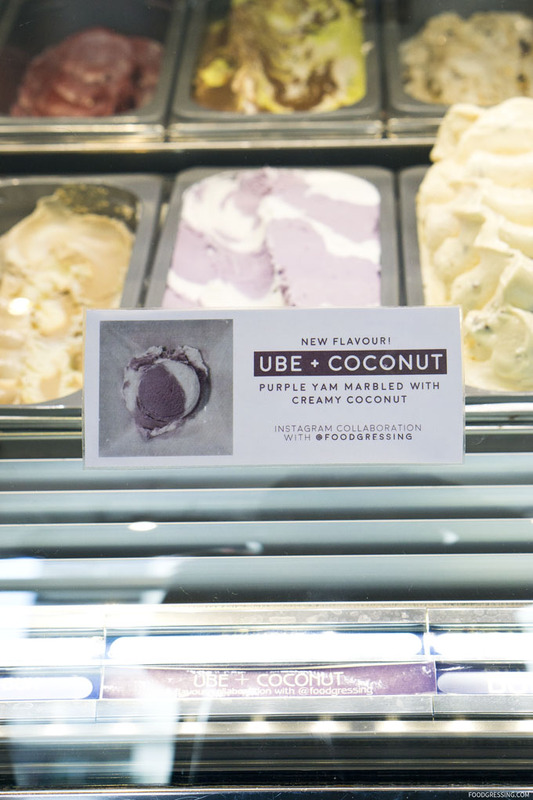 New Ube & Coconut at Amato Gelato + GIVEAWAY! If you had a dream flavour of gelato, what would that be? 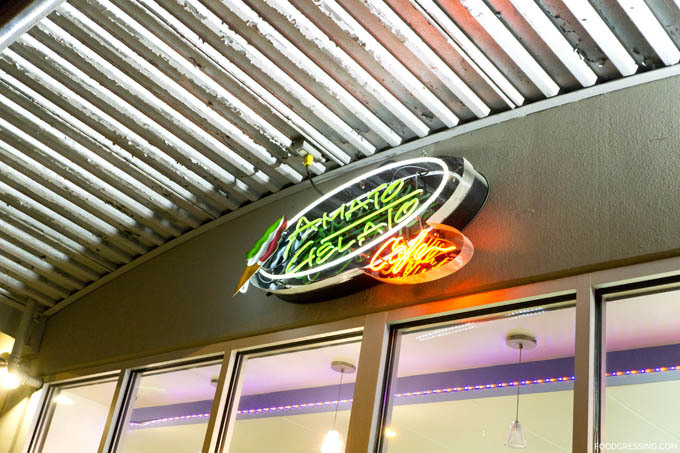 The team at Mario’s Gelati reached out to me several months ago with that question. For 2017, purple was a big food trend not only because of its eye-catching colour but a colour of food which often indicates nutrient density and antioxidants. And in 2016, Filipino staple ube (or purple yam) had gone from relative obscurity to a global foodie favourite. At the time of our discussions, ube wasn’t really a big flavour in Vancouver. I had visited Platito in Toronto for ube waffles and milkshakes and to Hood’s Bakeshop in Seattle for ube desserts. With all my out-of-town ube-licious foodie experiences, it was time to bring ube into more mainstream in Vancouver. I proposed to Mario’s Gelati an ube and coconut gelato combination and so the journey began to find quality ingredients for production. The journey to producing this flavour was not without obstacles. Mario’s Gelati had encountered challenges in finding a reliable and quality source of ube. Many suppliers had told them to use taro instead. But after months of searching, Chris – the chief gelato crafter – at Mario’s Gelati was able to find a quality source. 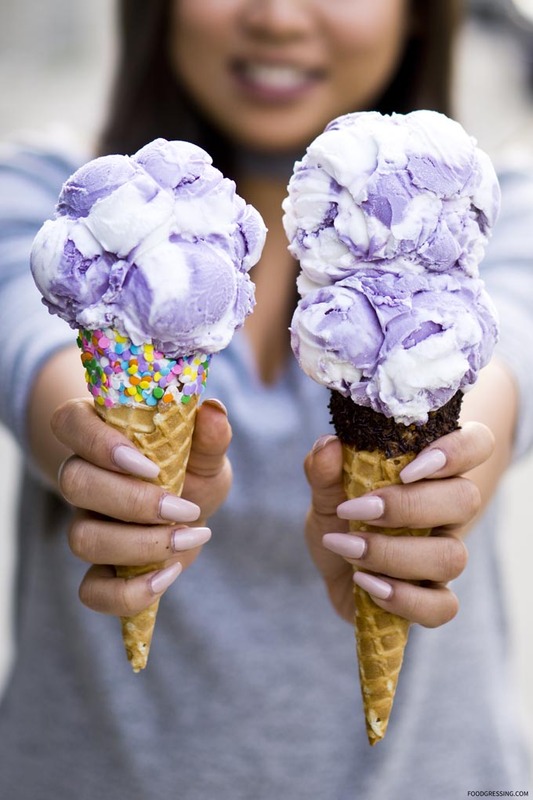 And this week, Ube & Coconut was produced and brought on as a new marbled flavour at Mario’s Gelati cafe, Amato Gelato at 78 East 1st Avenue in Vancouver. This refreshing flavour crafted by the talented team at Mario’s Gelati has a beautiful balance of ube and coconut. And for those who grew up in Southeast Asia, the flavours might even take you back to your childhood. The flavour is available for a limited time only until it runs out. Thanks to the folks at Mario’s Gelati/Amato Gelato, I am giving away a gift card to a follower on Instagram to celebrate this new flavour! Check my Instagram post for details. Giveaway closes Monday, Oct 2, 2017 at 23:59 PST.